With pressure mounting on Norwich City manager Chris Hughton, anything less than a win against relegation battlers Crystal Palace could’ve angered the crowds following seven Premier League defeats. Luckily for him, his Norwich side managed to grab the lead and hold on to earn a vital three points and appease the fans and board for a bit longer. Nathan Redmond, a summer signing from Birmingham, was the driving force behind Norwich’s attacks and nearly set up the opening goal. His free-kick was whipped towards Elmander, but his header hit the bar and bounced off the line, not setting off the new goal line technology. Redmond then had a pop at goal himself, but Palace keeper Speroni was equal to it at the near post. The young England hopeful did start the attack that resulted in a fine goal from Norwich – Redmond passed to Elmander who put the ball into the box. Hoolahan met it at the back post, squaring it to Gary Hooper for an easy tap-in. Palace were unlucky not to have equalised had it not been for some sterling defending by Martin Olsson. Ruddy parried a cross away, but it fell nicely for Barry Bannan whose shot was going in the top right corner, only to be headed into the bar and away by Olsson. Redmond continued to pose the biggest threat to Palace, but neither he nor his team mates could find the net again. Crystal Palace did pile players forward in a desperate attempt to salvage a point, but Norwich held their ground and grinded out the result. 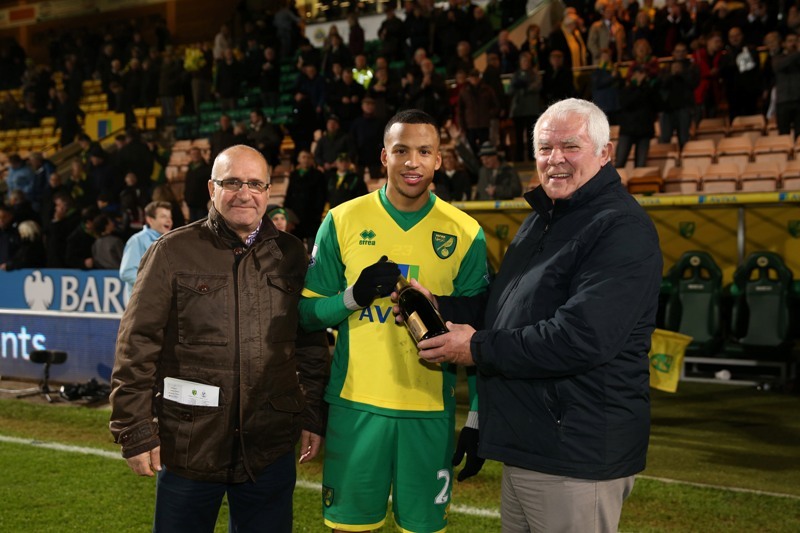 Martin Olsson was named the Anglian Home Improvement’s Man of the Match for a solid performance in defence and his goal line heroics. With this win, Norwich have moved up to 14th in the league, which will boost the team and hopefully have them back to winning ways.